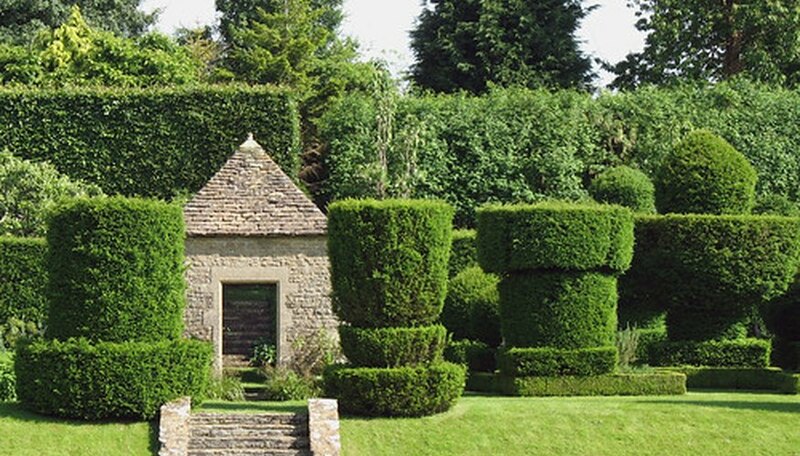 Topiary is the ancient art of clipping evergreen plant material into geometric patterns and shapes. The word topiarus is Latin for landscape gardener. Since these gardeners were the ones maintaining these living sculptures, the plants were dubbed topiaries. These tightly clipped shrubs are most often found in formal garden designs. Woody evergreen shrubs with small glossy leaves are the most popular plants used in topiary. The best example is boxwood, which can be trained into animal shapes or used as hedge material. No one has located the first topiary with certainty. They have found early pictures of topiaries on the walls of ancient Roman tombs. There is also sufficient evidence to show that the ancient Chinese people were involved in creating topiary. Some years later the Japanese borrowed these Chinese methods and added their own influences. In Europe it was the English Monks who kept the art of topiary alive. The Monks were responsible for the development of herbal knot gardens. The Victorians continued to include the art of topiary into their lavish garden designs. What first comes to mind when the term is mentioned, are topiaries shaped into cones, balls, gum drops and animals. Hedges large and small are also considered topiaries, though we seldom call them that. 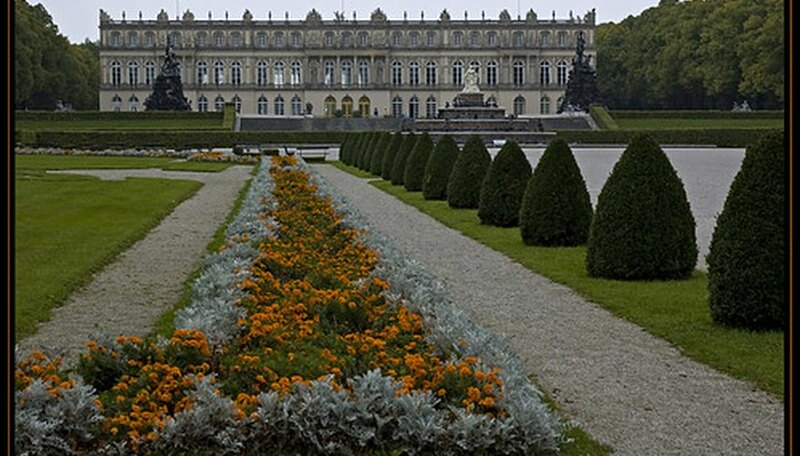 Large European gardens had intricate low clipped hedges arranged in geometric patterns called parterres. These gardens would usually have large masses of flowers displayed within the topiary work. Knot gardens were similar in design but much smaller and comprised mostly of herbs. Potted topiaries have always been popular and were placed in front of doorways or used to line courtyards. Trees pruned into cloud shapes and miniature bonzai trees were Japanese forms of topiary. Historically, topiary work was done strictly by hand. No gas powered hedge trimmers, or pruners to speed up the process, existed. Garden clippers and shears were the most common tools used. In Roman times topiary gardens were maintained by slaves. Later, wealthy landowners hired gardeners to maintain these intricate designs. The majority of early European topiaries were created for ornamental purposes. Having this type of garden was a sign of wealth. Monastery gardens were the exception and were created for culinary and medicinal purposes. Humankind has always wanted to tame and control nature. This method made it possible to completely control plant growth. The Japanese honored nature by re-creating the forest in miniature through different topiary forms. Mazes and labyrinths date back to medieval times. Labyrinths were circular gardens intended to encourage spiritual meditation. They could be constructed out of rock but were also sculpted out of plant materials. Hedge Mazes were large horticultural displays. Tall clipped shrubs were formed into a type of winding puzzle that guests had to work their way through.